While patiently waiting for June 10, 2016, the debut of VoltronLegendaryDefender on Netflix, we would like to turn your attention to a Voltron comic miniseries by Dynamite Comics. Voltron From The Ashes is a six-issue miniseries and the story takes place two hundred years after the original Voltron. To raise the mighty giant robot back to life, they needed a new set of five pilots. Cheetoy from the USA, Raiyenne from the Philippines, and C.B.Mako from Australia, fangirls across the globe, gathered together like Voltron and reviewed this comic series. 1) What attracted you to the Voltron FTA comics? Cheetoy (USA) – I’ve been a comicbook fan since I was a kid. I used to steal my father’s comicbook collection, so he felt I should have my own. When I started getting my own, I was hooked. Raiyenne (Philippines) – After reading the Robotech/Voltron crossover, I was curious what the team will be facing in Voltron: From the Ashes, six-part issue. C.B.Mako (Australia) – I wasn’t sure at first if I wanted to buy, let alone read comics that didn’t deal with Voltron’s original team. But after listening to the Let’s Voltron podcast where Marc Morrell interviewed both writer Cullen Bunn and artist Blacky Shepherd, I was curious and decided to give it a go. 2) What did you like about the comics series? Cheetoy (USA) – I love Voltron… Big mecha robot, space soap opera story (the only drama I could stand).. what’s not to love? Good or bad… I love having Voltron stuff. Raiyenne (Philippines) – I liked that we got to see the original team once more. C.B.Mako (Australia) – One word: Voltron. Because it is Voltron, I’d collect the comics in a heartbeat. The colour palette of the series appeared that Arus is a hot, barren planet. 3) Any favorite issue / part among the six comics? Raiyenne (Philippines) – My favorite issue was Issue 5 because of the cover artwork. And I liked seeing the original team as well. C.B.Mako (Australia) – I found the artwork of Voltron vs multiple robeast battles fascinating. Also, I loved the cover art of Issue 5. Because Keith and Allura, front and centre. IMHO, the series has the best cover art to date. Drawn by Alex Milne and coloured by Josh Perez, I love the consistency of this cover collection. The artwork is so gorgeous, I’m tempted to frame each one and hang them on display. 4) How was your experience buying the comics? Did you buy the digital / printed or both? Why? Cheetoy (USA) – I had no problems buying comics as I have a favorite comic book shop nearby (was one of the first things I looked for when I moved house). As for digital? I’m a solid printed gal. Like books, I love the feel of the pages. Raiyenne (Philippines) – I bought the comics online because comic books shops are too far from where I live. It’s very hard getting printed copies these days especially since the mall bookshops have been very selective what available titles the would stock in store. I liked reading online because I get to use the ‘guided view’ of the site, which lets me focus on what panel first and not let my attention roam everywhere on page. C.B.Mako (Australia) – I bought both digital and printed copies. I would wait for the release date, and the moment New York time zone reaches ten o’clock in the morning (midnight in Melbourne) I would purchase and download the digital edition on comixology straightaway. As for printed copies of the comics, I cargobiked 12.6 km / 7.8 miles to All Star Comics to grab the latest copy of the comics series. 5) Where there any areas on the comics they could’ve improved or changed? Raiyenne (Philippines) – I was excited for issue 5 due to the cover artwork, (which I liked a lot). It led me to think, “Finally, the issue that will explain the rest of the original team’s story” and then I was disoriented once again because there wasn’t anything that resembled the cover art. Throughout the issues, it may have been helpful if the flashbacks (the original team) were colored differently then I think the switching from their time to the present through the panels wouldn’t be too confusing. The passage of time would be visible too. C.B.Mako (Australia) – I wanted to know what happened to Allura. Arus was her planet, and as planetary ruler, she was the owner of Voltron. Two of the new male pilots looked alike. Would it have helped to distinguish each one if hair colour or skin changed like blue or green? Or, not look human? I’ve also noticed Dynamite Comics released the Trade Paperback (TPB) rather quickly. Surprised that both sixth issue and the TPB cover were both the same. The TPB was unremarkable. Apart from the usually compiled cover art, there were no bonus pages. 6) What would you like to see in future Voltron comics? Raiyenne (Philippines) – I would like to read / see a story of the original team battling mirror versions of themselves and Hagar’s behind it all. I don’t know if that was done in episodes, I hope.not yet. I think it would be cool to see how that will turn out. C.B.Mako (Australia) – I would like a well-thought-out, well-written comics by women writers. All of Voltron’s comics were written by men. They’ve already changed the look of VLD Allura to that of a woman of colour, how about having women writers in future comics? Also, if Robotech was able to give Rick Hunter and Lisa Hayes their wedding and even an offspring, why not Keith and Allura? Surely, it’s not much to ask from Voltron’s devoted fans? 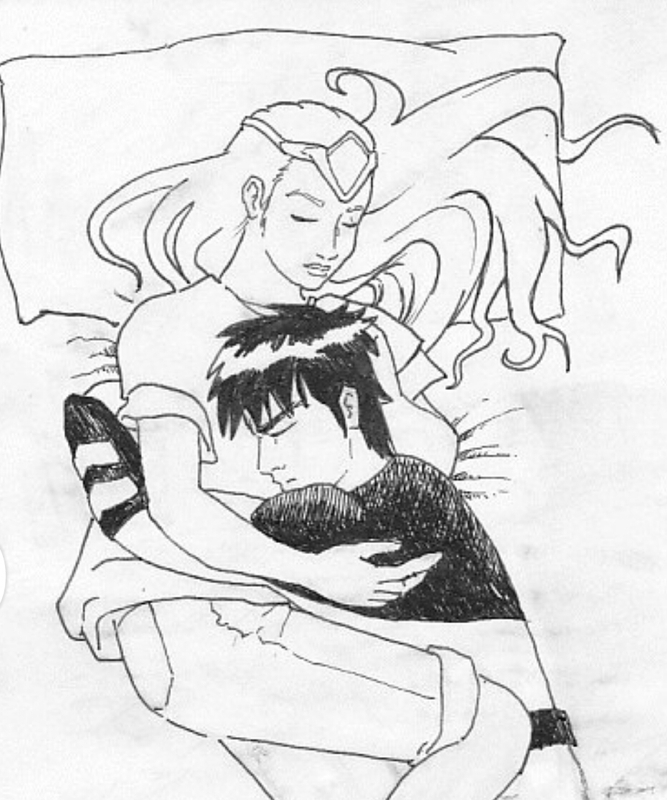 We’d like to see a stand-alone comic novel or mini-series that could see #KeithandAllura fanshippers sated. After waiting for more than thirty years, surely we could give Voltron’s favourite canon couple their happy-ever-after ? After sifting through a wealth of Voltron fan fiction on Fanfiction.Net to build what is now the Keith and Allura Community List, I found myself still craving more than just stories featuring our favourite canon pairing of #KeithandAllura. Being a very visual person, I also love VF KA Fanart. Hubby Chris occasionally indulges me with delish VF KA fanart, but when I need my KA fix, my quiet, happy escape to get through the tough days of real life, I also turn to Cheetoy. I was so inspired from all the stories that I began writing fanfiction myself. And thanks to Cheetoy, she inspired me to take up art classes, so that one day, I too could draw VF KA fanart. However, like other KA fans, I was still hungry, insatiable even. But where else could I find KA? Suddenly curious, I began my first step of finding KA by researching via the Internet. What would I look for? Would I look for similar physical attributes, character traits or both? But first, where do I look for KA? Since Voltron began as an anime in Japan as Beast King GoLion circa 1981, the first stop was anime and manga land. Do present-day animation companies still use the classic template that Toei Animation had used for GoLion’s Akira Kogane and Fala Hime more than thirty years ago? Fortunately at this day and age, there are now (android) apps that could play/stream full episodes of animation for mobile phone devices. There are also apps where one can read the latest manga issues in English. 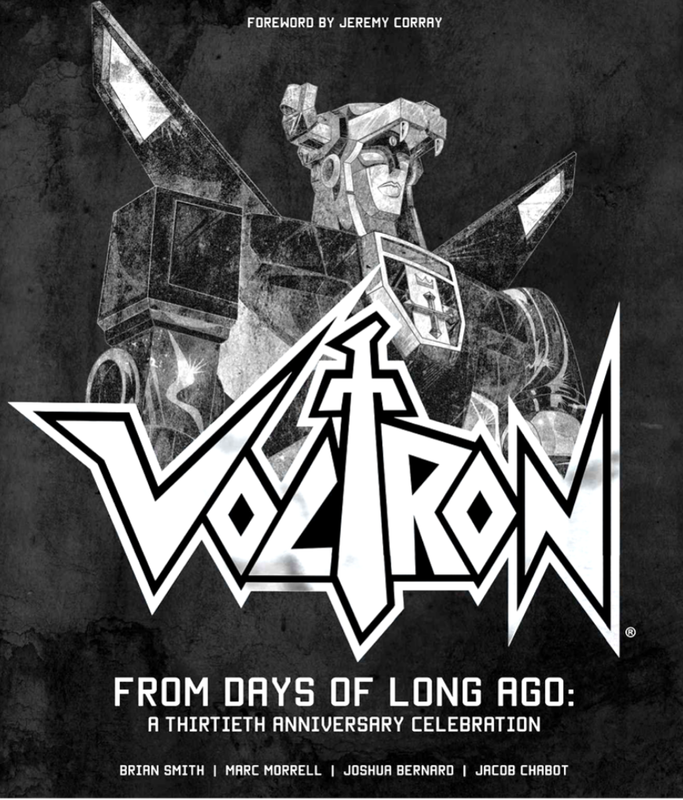 It has been thirty years since Voltron and there has been a lot of anime and manga produced since then. So, I decided to focus on what was readily available on mobile apps. I was blown away with the stuff I found. The Het pairing of (dark, brooding, loner Commander/Protector/Knight/Noble) with (bright,leading female Princess/Ruler/Fair maiden/Royalty) was everywhere. 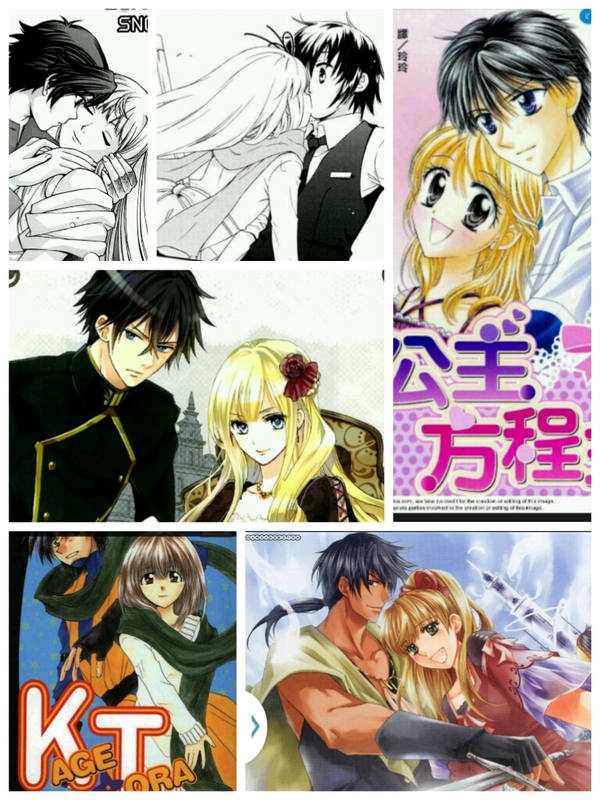 Some anime/manga literally were reincarnations of KA, with Knight-Princess pairing. 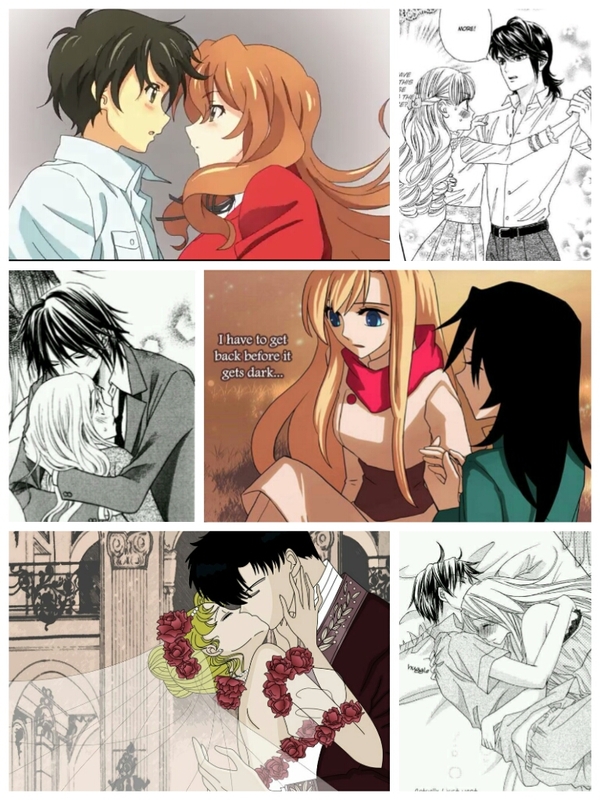 There were anime/manga types that had no pairings, but the lead male character looked like Keith Kogane. 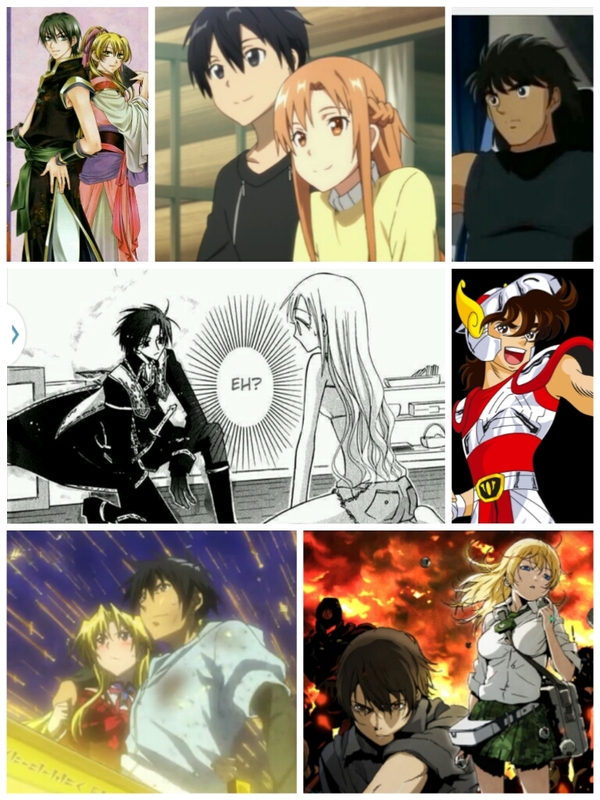 I found so many manga/anime KA-lookalikes, (and most some titles were in Japanese too) I decided put the images randomly together to show you a mere glimpse of what I found. I was having an author crush on Anna Hackett. Here was a fellow Aussie, a mum of two young kiddies, and a published author writing the kind of stories I was looking for. And yes, Anna grew up watching Voltron too! 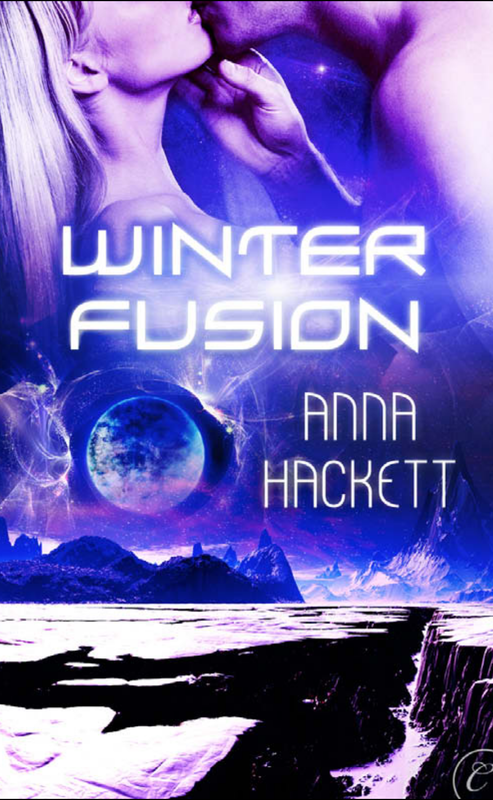 *sparkly teary eyes* Her book Winter Fusion (now with Audible narration with “Galactic Holiday” ) had KA-like characters: ex-space marine Savan and planetary negiotator Brinn. 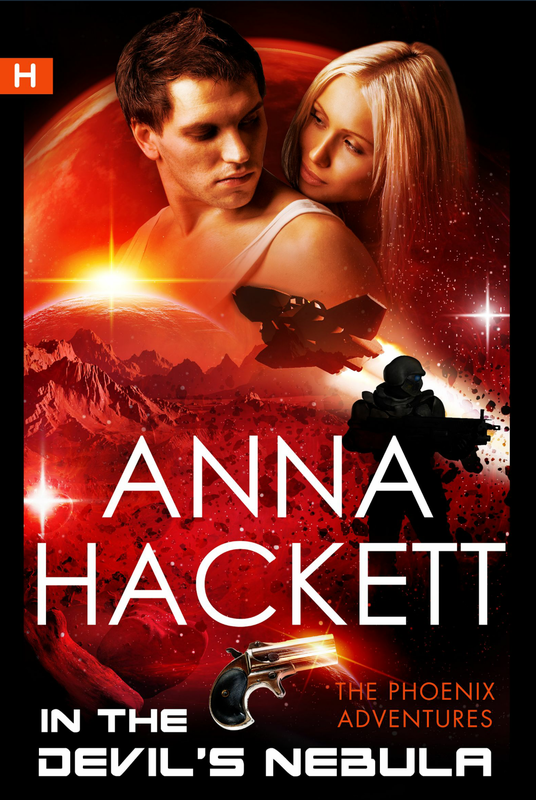 Another of Anna Hackett’s book In the Devil’s Nebula had VF KA-esque space pilot Commander Zayn and blonde-haired Ria as her kickass couple. I was smitten from the get go. From there, the floodgates opened and found myself immersed, reading e-book after e-book of SFR. I also found myself following both Sci-Fi Romance Quarterly and SFR Brigade on Twitter. At the end of the day, I went back to our fandom and continued to look for more KA-pairing stories. But something was still missing. I wondered about fandoms. The big fandoms / mega-fandoms have their own fanfic writers-turned authors. After reading Anne Jamison‘s FIC: Why Fanfiction Is Taking Over The World, I found myself reading all of Christina Lauren‘s books, and the (in) famous Fifty Shades by E.L. James. By this time, I wondered if the Voltron fandom has its own fanfic-writers-now-published-authors? And the answer is yes! One of them is Shannon Muir: one of Voltron’s first fanfic writers and is an author of several books. Surely there are others too, unbeknowst to this newbie fangirl? Amongst KA fanfic writers, even? Was there a fanfic-writer-turned-author from KAEX yahoogroup? And the answer is another big yes! One of the KAEX Yahoo Group’s earliest members, David A. Tatum aka Desaix on FFN, has had a few published books under his belt and his latest one, The Kitsune Strategem, had KA-lookalike characters. I was instantly drawn to the book cover. It was like looking at KA from a different universe. I was mesmerised from page one and couldn’t put the book down. 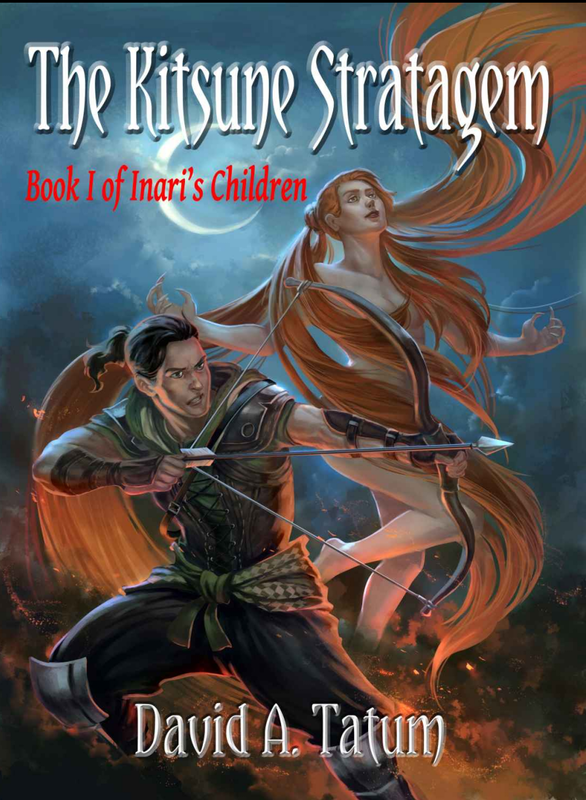 It was like reading Go-Lion/Voltron but in a fantasy version, with a solid, expansive, and detailed world-building universe behind his main characters Keiras and Mathis. So, who else among the KA fanfic writers have published books? I’ve asked our current and amazing fanfic writers –Drowningblonde, KathDMD, Mertz, and RedLion2– if they’re close to publishing soon? They got their stories under wraps. They got me all excited, eager to cheer and promote our fandom’s next batch of upcoming authors. At the end of my research / reading journey, I eventually went full circle. I found KA again, inside Voltron’s 30th Anniversary book “From Days of Long Ago.” It’s a beautiful coffee-table book and a must-have for Voltron fans from every generation. Long Live Keith and Allura! This blogpost became live on 13th November 2014: Cheetoy, I dedicate this blogpost to you: Happy Birthday fangirl!